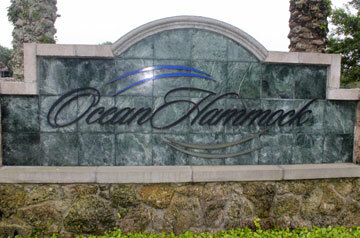 Ocean Hammock is a gated oceanfront community arranged around the Jack Nicklaus Signature Golf Course. With 0.7 miles of beautiful coquina sand beach access, Ocean Hammock is a small community with only single family homes that offer living space between 2,000 and 6,000 sq. ft. Homes are direct ocean front, lakefront and golf course frontage. Presently, about 50% of the community is still vacant land upon which you can build your dream home. The community offers 24 hour manned gate entrance and very low home owners’ association fees. You can optionally join the Hammock Beach club, which offers several pools, 2 golf courses, restaurants, spa and so much more.